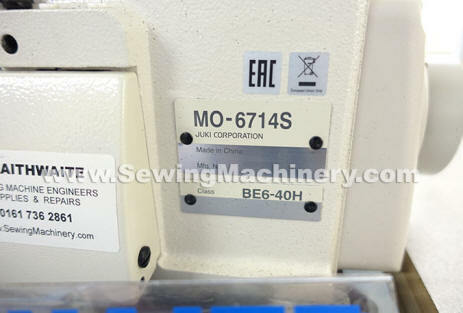 Juki MO6714S 4 thread high speed industrial overlock sewing machine including unit stand, table, heavy duty motor, makers accessories & instructions. 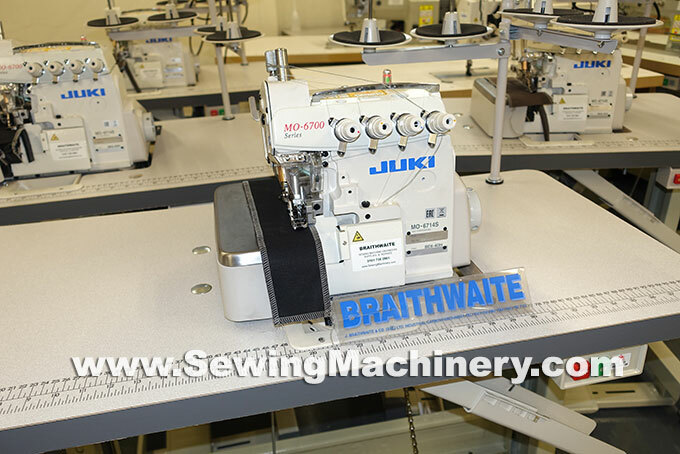 The machine ensures good seam quality at higher speeds. 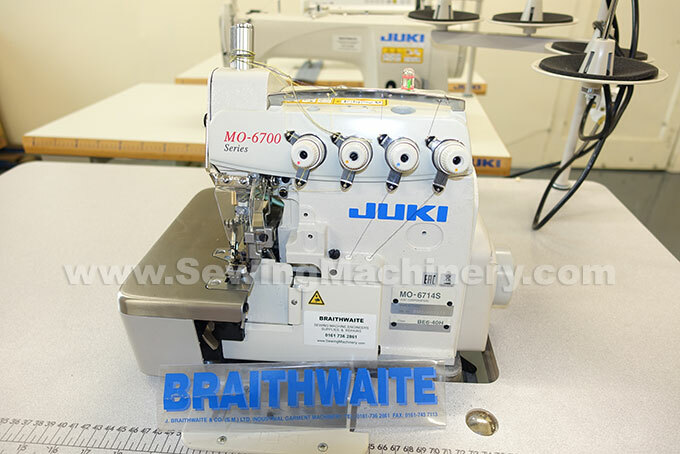 The Juki MO-6714S overlocker comes with a needle-thread take-up mechanism and a looper thread take-up mechanism; which offer improved responsiveness on various weights of materials. A lower applied tension achieves soft feeling seams that flexibly relate to the elasticity of the material.